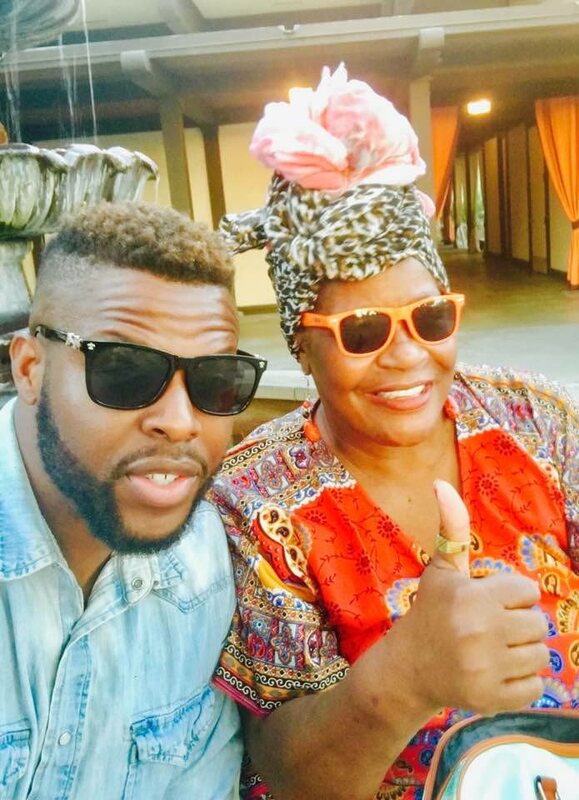 Actor Winston Duke, break-out star of Marvel’s blockbuster Black Panther, with his mother Cora Pantin. As 2018 unfolded, Tobagonians celebrated events that brought pride and joy to the island. Actor’s Winston Duke’s break-out role as M’Baku in Marvel’s blockbuster, Black Panther, was generously celebrated with love and excitement with Tobagonians flocking to the movie theatre in their numbers to take in the show. 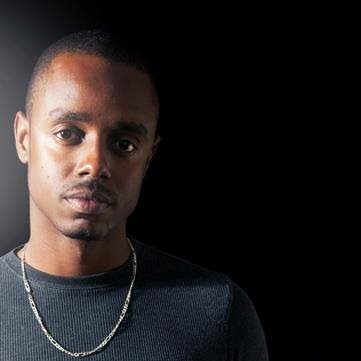 Motion Designer Sekani Solomon was also proudly acclaimed for his animation work in the main title sequence. There was too, the success of Beverley Ramsey Moore as Pan Trinbago’s first female president to honour and celebrate this year. But it was not all optimism on the island. A proposed Sandals resort for Buccoo/Golden Grove has raised concerns in terms of benefits for Tobago, as well as possible environment damage to the Buccoo area. The sea bridge posed many problems with cancellations of sailings, resulting in disastrous consequences for ordinary Tobagonians, the business community and the tourism sector. And one thorny issue that appeared to have a simple solution remained unresolved at year-end - the Minority Council, the island’s official opposition, is yet to get office space for the second year since their installation as members of the Legislature. Here is a review of some of the headline stories for the year. January 25, 2018 marked one year of the inauguration of the new Tobago House of Assembly, including three members of the Minority Council, led by Watson Duke. Holding press conferences at James Park in Scarborough, opposite the Assembly’s Legislature, during the year, Minority Councillor, Dr Faith B Yisrael contended at one such event that the “PNM-led Executive Council is trying their utmost best to ensure that there is no opposition in Tobago. “They are trying to stifle us…they are trying to do everything that they can to force us to not work. The PNM-led administration needs to remember that Tobago one year ago decided that they were tired of the PNM… they did that by voting for us and ensuring that there were two elected members and one councillor and because of that…we are going to ensure that 2018 is a year that they are going to be very concerned about,” she said. BYisrael said in her contribution she has bitter sweet emotions on the past year in office, sweet memories were because it was one year since members of the Progressive Democratic Patriots (PDP) officially became part of the THA, but bitter ones were because the PNM-led Executive Council continues to rule and reign and create havoc for the people of Tobago. The motion of no confidence, brought by Duke, who is also PDP’s Political Leader was defeated. Chairman of the Tobago Division of the TT Chamber of Industry and Commerce, Demi John Cruickshank reported a 35 to 40 per cent decrease in business by members because of inefficient sea bridge. He reported cancellation of bookings at guesthouses and accommodations for Carnival because the ferry was withdrawn from service. It was excitement on the island as the year’s blockbuster, Marvel’s Black Panther featured the work of two young Tobagonians - actor Winston Duke (M’Baku) and motion designer Sekani Solomon. Duke, 31, grew up in Argyle. Solomon had a major role in the main end title sequence – a two-and-a-half-minute animation piece. He left the village of Hope at age 20 to pursue his dream of working in Motion Media Design, and is now based in New York, USA. Claude Benoit, Chairman of the Tobago Chamber declared nothing could be to help the tourism sector or Tobago’s economy until the sea bridge returns to full operational strength. Tourism stakeholders had reported a zero to 50 per cent occupancy rate for the Easter season, traditionally a high occupancy season for tourism. “The government would not have done its job in ensuring that the sea and air bridges are fully operational. We have a lot of investors in Tobago who would have invested their life savings on the island; that is what we at the Chamber do. But we need the government to make that easy for us… we need them to facilitate and put things in place so what we invest in will work well,” he said. The Office of the Prime Minister donated $1 million to Bishop’s High School to help fund a $4 million state-of-the-art sports field which was expected to be have been completed by September. Fair treatment for promotion and placement, better working conditions in terms of resources and physical conditions, staffing at primary schools, security, schools in need of repairs and relocation of the Scarborough Secondary school were among 24 matters that Tobago teachers came out in full force to protest at the Division of Education, Innovation and Energy at Dutch Fort, Scarborough. With just one week into the new school term, the teachers declared “enough is enough” and demanded that Chief Secretary Charles, who is also the Secretary of Education, address these issues they said have been plaguing them for the past three years. Temporary market facilities open at Shaw Park to facilitate repairs to the Scarborough market. Some vendors settled in comfortably while others complained that there were enough garbage bins, no chillers to store goods and too small tables to properly display produce for customers, not to mention not enough customers with no foot traffic to the new facility. Tempers flared, and one man had the sound cut from his microphone as residents railed against the lack of information at a public consultation on land acquisition in the Crown Point/Bon Accord area for a $500M terminal at the ANR Robinson International Airport. The consultation was hosted by the THA and the Airports Authority of Trinidad and Tobago (AATT). Several residents refused to register their names and the properties they owned or occupied, declaring they were disappointed with the way the consultation was done. The Joint Select Committee on the Constitution (Amendment) (Tobago Self-Government) Bill, 2018 chaired by Planning Minister Camille Robinson-Regis held a public hearing in Scarborough. Tobagonians made known their concerns on financial accountability, the power to make laws, responsibilities of ex-officio members of the Tobago House of Assembly (THA) and guaranteeing independence and stability for residents on the island. Chief Secretary Charles subsequently said the Forum of Political parties met and has written to the JSC about the omission of the definition of Tobago’s boundary from the Bill. Reply to "Pride, joy in Black Panther’s Duke, Solomon"